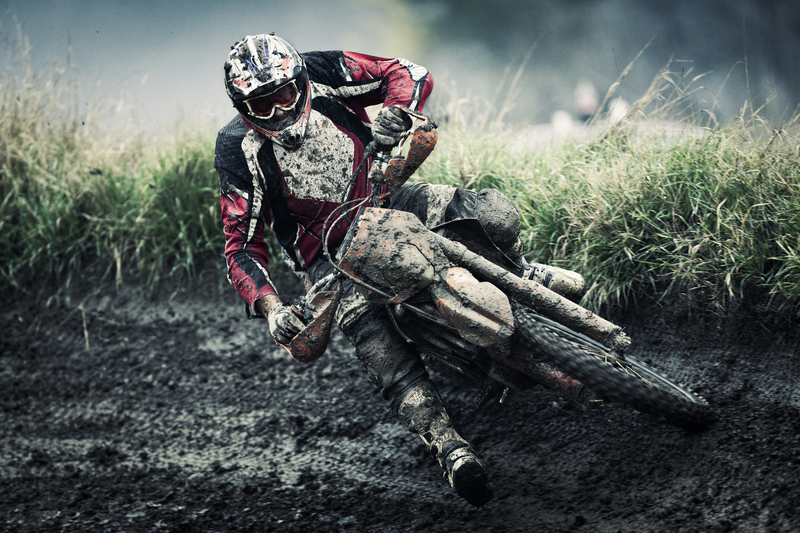 The chopper is one of the most famous types of motorbikes on the market. They began to be popular on the West Coast of America during the 1950’s. They are custom machines known for their radical style and design choices that can be added to them. They have a well known stretched out aesthetic which is due to the lengthened nature of the forks. 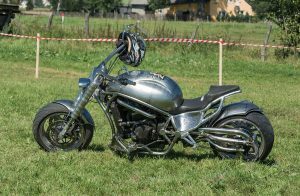 These bikes are often created by modifying an existing vehicle. Alternatively, a mechanic can build one from scratch using parts from many different types of bike. A cruiser is somewhat similar in appearance to a chopper. In fact sometimes the two terms are interchangeable. This has led to some confusion over what separates them. The key difference is that cruisers are much more durable. They are built for long distance travel, hence the name. Choppers tend to be build more for style than performance. Part of the appeal in this community is creating great looking extreme machines. They are often bigger in terms of width than cruisers. One useful way of spotting a chopper is looking at the tyres. 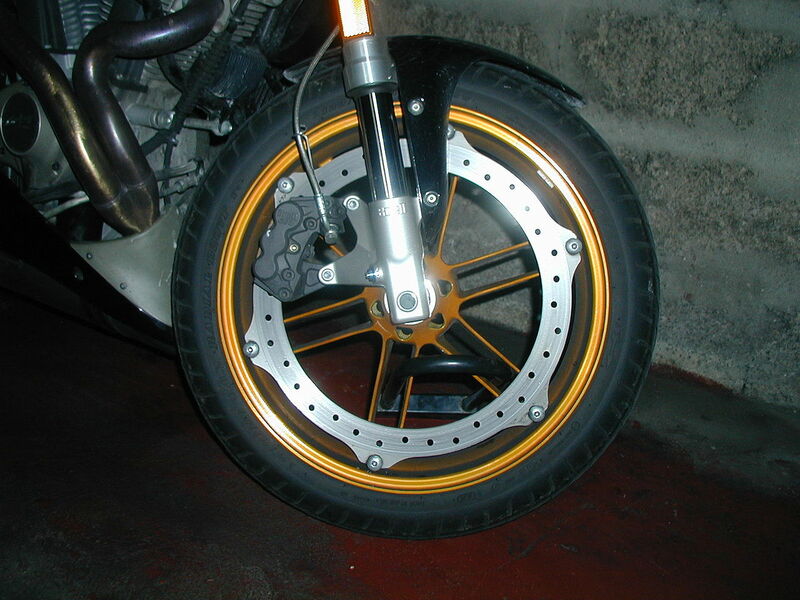 The back wheel will be significantly wider than the front one. They will also have visibly large shock absorbers. Cruisers are made with comfort in mind. The manufacturers recognise that the riders of these bikes will be on the road for long periods of time. For this reason the seat and ergonomics are some of the most important components when it comes to the design of a cruiser motorcycle. The actual engines of these two bikes are not very different from each other. However the fuel tanks are often larger on cruisers. This is because they are built for long distance. Sometimes a chopper engine is adapted specifically so it will be louder . One of the most notable contrasts between the two is the amount of accessories on cruisers. 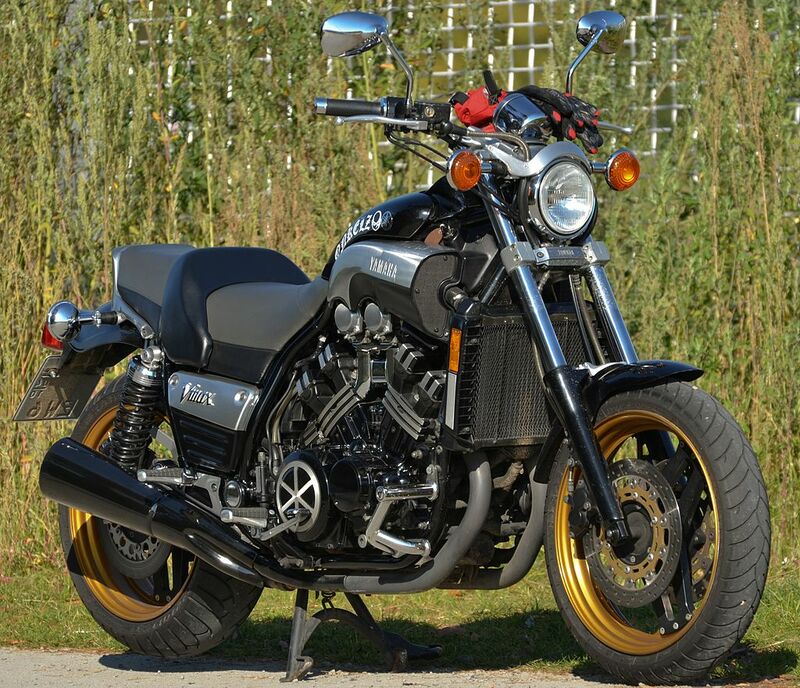 These bikes have several useful tools that improve performance and allow for longevity. Choppers remove most of these accessories in favour of a more streamlined machine. 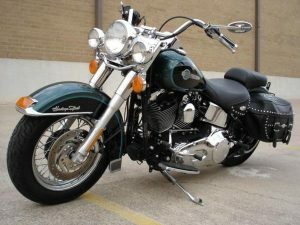 Both choppers and cruisers are well known in modern culture due to their appearances in popular media. TV shows such as Sons of Anarchy showcase the subcultures that base their lives around these vehicles. In the action movie Terminator 2: Judgement Day, Arnold Schwarzenegger is seen riding a chopper. 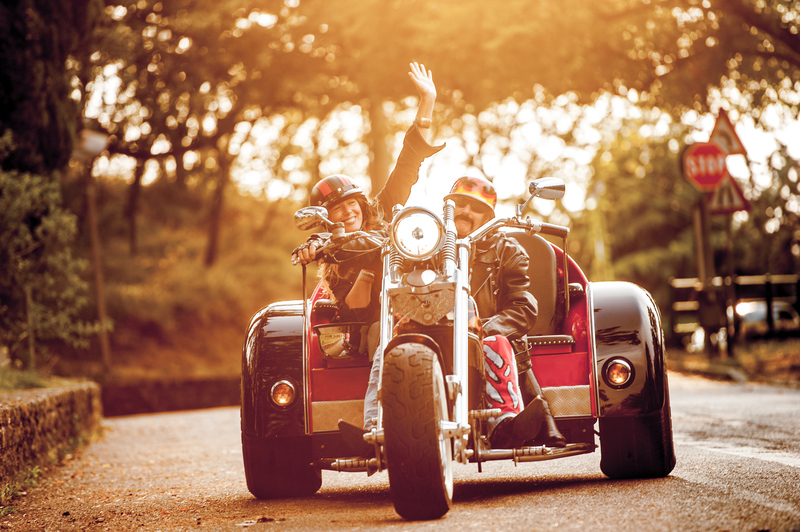 The scenes of him operating the Harley-Davidson Fat Boy have become some of the most famous images of his entire career. 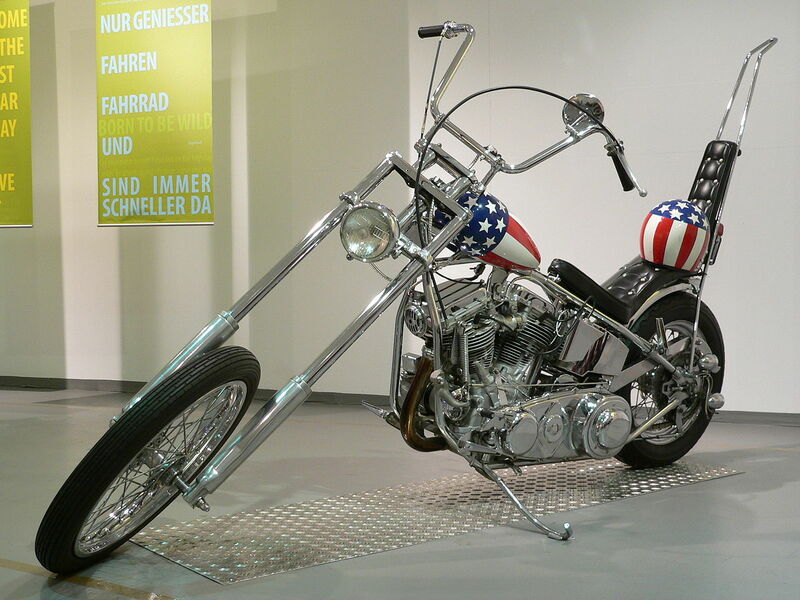 Easy Rider is one of the most iconic films to feature the chopper bike. The opening scene where Peter Fonda and Dennis Hopper ride them has become very well known. It is an important sequence representing a specific time in America.